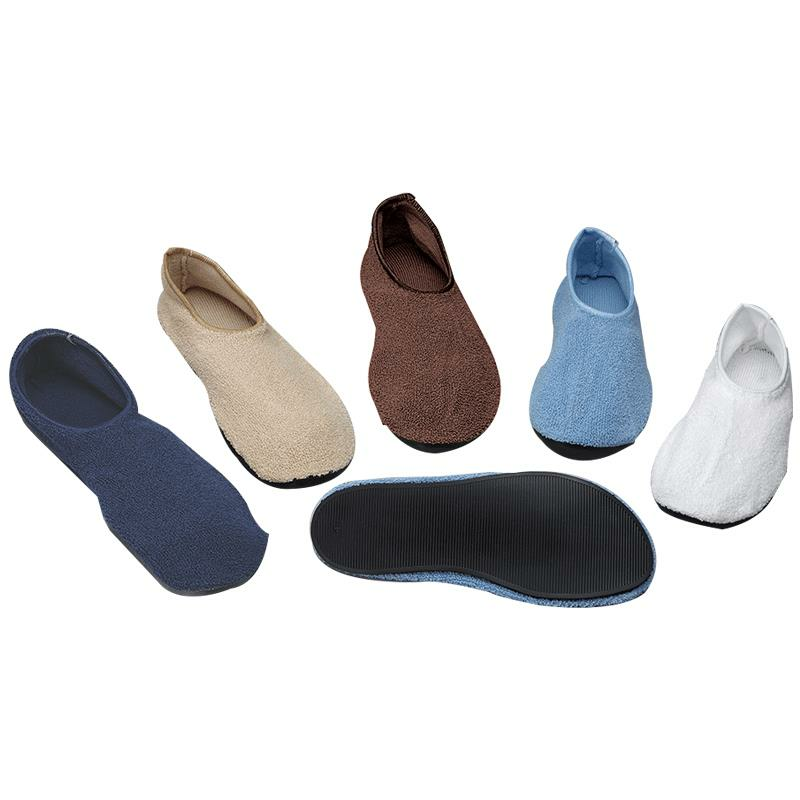 Posey Non-Skid Slippers are for patients requiring non-skid footwear to help prevent falls. These are made of soft terrycloth upper for comfort, warmth and breath-ability and latex-free ribbed rubber soles that ensures grip. They are machine washable.